The clocks spring forward today and with that one, quick little switch we make a BIG leap toward spring. Sunshine will be filling our lives for a few more hours each and every day. So, with the sun shining and with spring soon to arrive, it seems like the perfect time to join together with folks around the blogosphere and gather together some amazing ways to celebrate spring and Easter. If your kids are anything like mine they are itching for spring to arrive. When I asked my youngest daughter how she wanted to celebrate the coming arrival of spring she decided that we should create a springtime wand. Why not? 3. 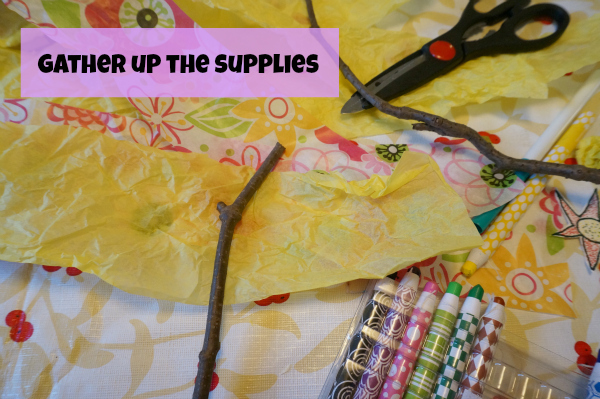 Use a glue gun, or white glue, to attach the flowers to the stick…ya, didn’t get a picture of that step. Is the wand magical? Can the wand be used to spread spring to whatever it touches? Can you dance with your wand? This wand is whatever you want it to be. Add string, add beads, add bells. 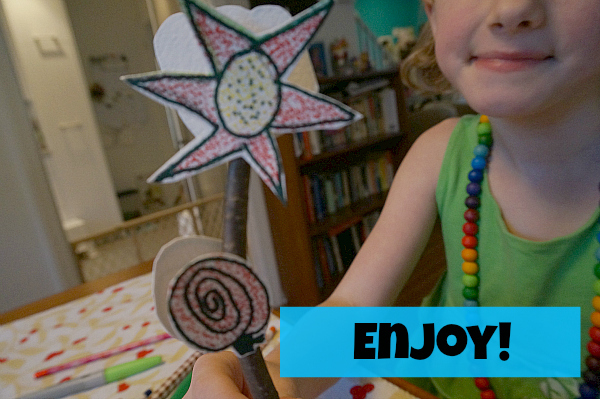 Make a wand as simple or as extravagant as you like. I think we will be taking ours outside to play in the sunshine. 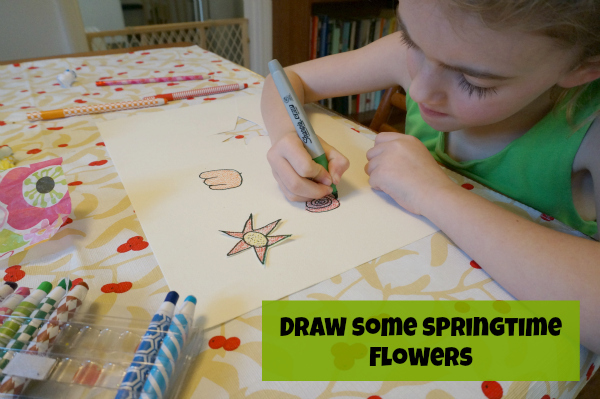 On with the Spring & Easter Bloghop! Please take a trip around the world and visit the other co-host blogs. 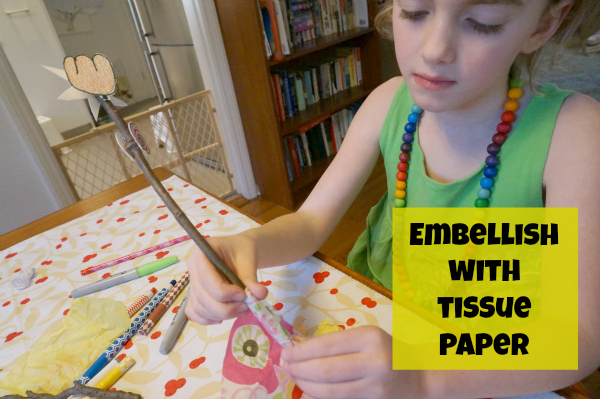 This bloghop is filled with inspiring ideas and activities for kids of all ages. If you have a spring or Easter themed post, please link up it up below. We would love to see how you are getting ready for spring and Easter.